Somerville is emerging into one of the area’s most exciting cities with the creation of the sprawling Assembly Square Retail/Office Development, the emergence of Union Square as a preferred dining destination and with its thriving artist community. With its direct proximity to neighboring Cambridge and downtown Boston, Somerville is becoming an increasingly popular place in which to live. Conveniently located near Somerville's Union Square. 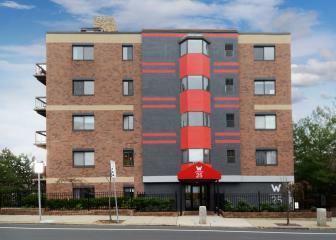 W25 offers spacious 1-2 bedroom apartments in one of the city's fastest changing neighborhoods. The property features individually controlled HVAC systems, brand new kitchens and baths, a totally renovated lobby with elevator and onsite parking for each unit.